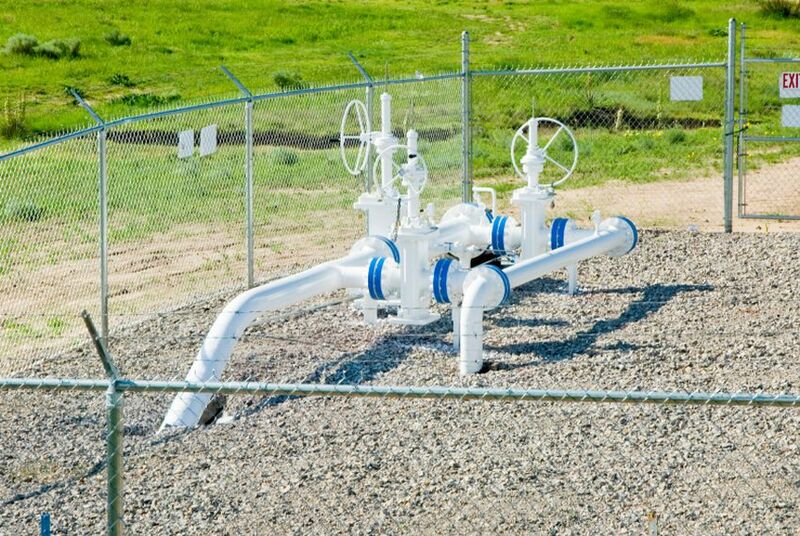 The Texas Railroad Commission recently endorsed changes to how cities can challenge natural gas utility rate increases. Commissioners say the rule should help cut expenses for ratepayers. But some critics say the rule puts cities at a disadvantage. State regulators say they have found a way to lower Texans’ natural gas utility bills: keep money out of lawyers’ pockets. Last month, the Texas Railroad Commission quietly approved a rule that simplifies how cities challenge rate increases for natural gas – a multimillion-dollar proposition for monopoly utilities that have no local competition. The changes consolidate cities’ rate challenges, cap how many documents they can request and ensure that only cities challenging a rate hike pay legal fees attached to the process – even if others benefit from reduced rates. But a host of city officials, consumer advocates and state lawmakers say the rule has just one beneficiary: natural gas companies. They argue the changes will discourage cities from challenging rate hikes and burden those that do. Indeed, finding a city backing the change is tough. Passage of the rule — which takes effect Sept. 1 — only heightens the tension between cities and the commission, as they also spar over authority to regulate oil and gas production. That dispute gained a high profile after Denton voters decided to ban hydraulic fracturing in November. Unlike the fracking fracas, however, several state lawmakers – including Republicans – support the locals and say they may take up legislation to block the rule. “Steps will be taken to make sure that we protect the city’s involvement,” said Rep. Jim Keffer, R-Eastland, who chairs the House Energy Resources Committee. More than 50 cities scattered across Texas filed comments to the commission opposing the rule. That includes large cities, like Fort Worth and Houston, and smaller cities like Snyder in West Texas and Haslet in North Texas. No city filed comments in support. Public support for the rule came from two utilities — CenterPoint Energy and Texas Gas Service Company; two legal reform groups; the Texas Conservative Coalition; and state Rep. Patricia Harless, R-Spring. Last session, Harless proposed two pieces of similar legislation that failed in the committee stage after local governments loudly objected. Harless told the commission that its rule should yield “real savings” for consumers. On the surface, the dispute might look arcane. Texas cities have long had the first say over whether monopoly gas companies could increase rates to buy new equipment, fix aging pipelines or make other upgrades. Cities often push back after examining costs that they consider frivolous. When those parties can’t strike a deal, each side makes its case to the Railroad Commission in a process that resembles a trial. In one case before the commission years ago, cities prevented Atmos Energy from recovering $1.6 million in costs for meals, luxury travel, entertainment and lodging for executives, according to the Joint Alliance of Municipalities for Fairness in Gas Utility Rates. In 2010, after CenterPoint Energy sought a $25.4 million rate hike, the Railroad Commission sided with a city coalition in whittling it down to $5 million. Legal fees in those appeals, however, can total hundreds of thousands of dollars. The new rule would make those cities work as one coalition (something they often do anyway), and it would limit – with some exceptions – how many times they could request information from the utility during the “discovery" process, in which opponents tell each other what evidence they will present. The rule also addresses who pays for all the lawyers. In the past, those costs were typically passed on to ratepayers across a utility’s service area. Under the rules, only cities that protested would pay. Consumer advocates argue the changes would unleash a “free rider” effect: Fewer cities would protest rate hikes across a region, hoping to benefit from the negotiations without paying the legal costs. Keffer said he was perplexed when the Railroad Commission took up the issue, because lawmakers recently rejected changes. Porter introduced the measure after “many conversations with consumers, commission staff and industry about frustrations over unnecessary attorney fees,” said Ramona Nye, a commission spokeswoman. She could not provide specific examples. Local officials are cynical about what prompted the rule and past legislation on the issue. “The whole thing here has been driven by CenterPoint,” Gerlt said. Cities and consumer advocates have closely scrutinized the Houston natural gas and power line monopoly, which saw its profits soar in recent years. In 2013, the company's power line division took in $46.5 million in "excess revenue" – beyond what the Public Utility Commission authorized. Since 2011, CenterPoint Energy’s political action committee contributed about $11,700 to Porter; $5,000 to Christi Craddick, the commission’s chairwoman; and $29,500 to Smitherman and his political action committee, according to the Texas Ethics Commission. The company's political action committee has also donated to the following officials: $2,500 to Sitton in 2014; $4,500 to Harless between 2011 and 2013; and $2,000 to Keffer in 2011.